Ransomware: Don't be a victim! We hear routinely in the news that a major corporation or government agency has had its data integrity compromised, with millions of pieces of personal data accessed. In these cases the criminals behind the attack hope to get money by selling that data to other criminals. In the case of ransomware, the criminals want your money, and try to get it by holding your data hostage. Plain, old fashioned kidnapping with a hi-tech spin. It's not about how much your data is worth to them, it's about how much it's worth to you. It's not just happening far away, the attacks are local as well. Earlier this year, the Leominster School District here in Massachusetts got hit with Ransomware and ended up paying $10,000 Ransom. Prevention is the best cure. Follow standard “data hygiene” principles that you probably hear about all of the time. Update your operating system, software, and apps whenever a new release or patch is released. Do this ASAP. Some patches may be released solely as a result of the discovery of a vulnerability. Watch out for phishing scams. If anything looks “off” about an email, don’t open it. And never open links you aren't totally sure of. Some people recommend sending the email back to the sender, but we advise against this because you may just be "raising your hand" for the bad actors. If you get, for example, an email from your credit card company, instead call the number on the back of your card. The most important thing you can do to make sure your data cannot be held ransom is strictly adhering to a regimen of backups. However, even backups may not be foolproof. If your data has been infected and you are unaware of it, or the backup is not segregated from your network, your backups may also be corrupted. 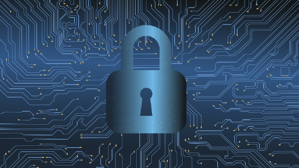 Given the severe consequences of a ransomware attack to any business, consider having a security evaluation done by a managed service provider who will have the security expertise to advise on the best backup protocols for your situation. Running a small business is exciting but also very risky. American business owners and managers spend countless hours building enterprises that bring value to the table. However, their survival rate doesn't look rosy according to recent statistics. Approximately 80% of businesses survive their first year, 50% survive their fifth year, and 30% survive their tenth year. The fact that their failure rate only increases over time is cause for concern. Given the dire situation, what can small businesses do to ensure their survival? At Ekaru, we believe that efficient and growth-oriented businesses rise to the top and capable of weathering the storm during recessions. That’s why we’ve listed several surprising tech trends to help boost the growth of your small business below. Tech giants such as Amazon, Google, and Microsoft have been instrumental in the development and promotion of Artificial Intelligence (AI) and Machine Learning (ML). These companies have reaped the benefits of integrating AI & ML technologies into their existing business processes. They’ve been able to automate tasks, enhance employee productivity, predict customer behavior, and introduce intelligent software services. Small businesses can also leverage AI & ML as these big players are now competing for the startup market. They’re introducing apps, productivity tools, and services that come embedded with AI & ML from the get-go. Furthermore, they’re becoming increasingly user-friendly allowing staff members of small businesses to take advantage of these with minimal training. Business managers understand the importance of responding to their customers, employees, and vendors as quickly as possible. Not only does this improve the effectiveness of their businesses, but also keeps their reputation in good standing. Therefore, implementing an automated and intelligent response pipeline across all communications channels is vital. A smart way for businesses to communicate via email, messaging apps, social media, and their websites is with chatbots. While chatbots are nothing new, they are becoming more conversational, sophisticated and capable of dealing with increasing market demands. They respond to all inquiries around the clock, hold productive conversations, and bypass commerce bottlenecks. We take cybersecurity seriously at Ekaru and for a good reason. Small businesses are the largest target with 43% of cyberattacks targeting them specifically. We’re also aware that many small and mid-sized companies (SMBs) don’t have large cybersecurity budgets, which increases their vulnerability. But their security issues don’t end there. Quite often, they’ll use weak passwords, store them in insecure places, and don’t educate their employees about password security. Having pinpointed these glaring problems, we set out to offer small businesses a cost-effective and reliable solution. We introduced Ekaru MyGlue, which is a secure password manager to share, store, and synchronize passwords between executives, employees, contractors, and clients. Two key areas, which small businesses can easily automate, are their marketing and sales processes. The reason for this is that marketing and sales software offers automated functionality due to AI & ML implementation. They easily integrate into businesses’ existing systems and help to automate and speed up marketing campaigns and sales tasks. Vendors such as Salesforce collaborate with Google to offer such marketing and sales tools for small businesses. Social payments have been on the rise ever since the advent of PayPal and social media platforms. Consumers enjoy the convenience of transferring funds immediately or within a day by using secure payment processors and mobile wallets. By linking their bank, credit, or debit card accounts to these services, they can easily receive and send funds to people and businesses online. Many small businesses are running marketing campaigns on social media platforms such as Facebook, Instagram, and Twitter. Some even collaborate with notable social media influencers to spread awareness of their brands, products, and services. Consumers who follow these influencers can make frictionless social payments for any goods and services that interest them. As we’ve seen, there are several exciting tech trends that are changing the face of business in a positive way. AI & ML help to automate tasks, chatbots are becoming conversational, cybersecurity is increasingly vital, marketing and sales automation speed up these processes, and social payments are on the rise. Contact us to learn how recent tech trends can boost the growth of your business.